The Council for Economic Education’s (CEE’s) mission is to teach K-12 students about economics and personal finance–and we have been doing so for nearly 70 years. Our goal is to reach and teach every child in every district and school so that they can make better decisions for themselves, their families and their communities. 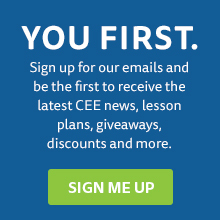 CEE carries out its mission by educating the educators: providing the curriculum tools, the pedagogical support, and the community of peers that instruct, inspire, and guide. We strive to meet the teachers where they are with what they need. All resources and programs are developed by educators, and delivered by our 188 affiliates across the country in every state. We reach over 55,000 K-12 teachers a year through in-person professional development, and those teachers, in turn, reach approximately 5 million students throughout the country. Nearly 2/3 of these educators come from schools serving large numbers of low- and moderate-income students. EconEdLink–our free, online educator gateway for economic and personal finance lessons and resources– attracts more than 1 million unique visitors each year. 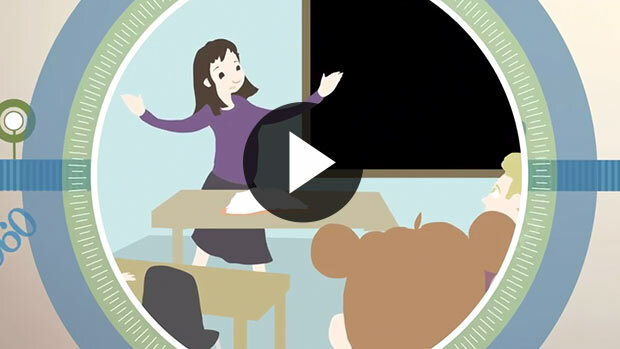 Learn more about the Council for Economic Education in this three minute video. We know that financial and economic literacy changes the way people see the world and their roles in it. Our students, both college-bound and those who opt for employment rather than college, will be required throughout their lives to make economic decisions important for their own success, and to understand and make decisions about public policy issues. A thorough understanding of economics will contribute not only to their personal success, but to the successes of the businesses, institutions and governments in which they participate. This is why we are passionate about educating young people about an economy they will work in, benefit from, and ultimately, inherit.